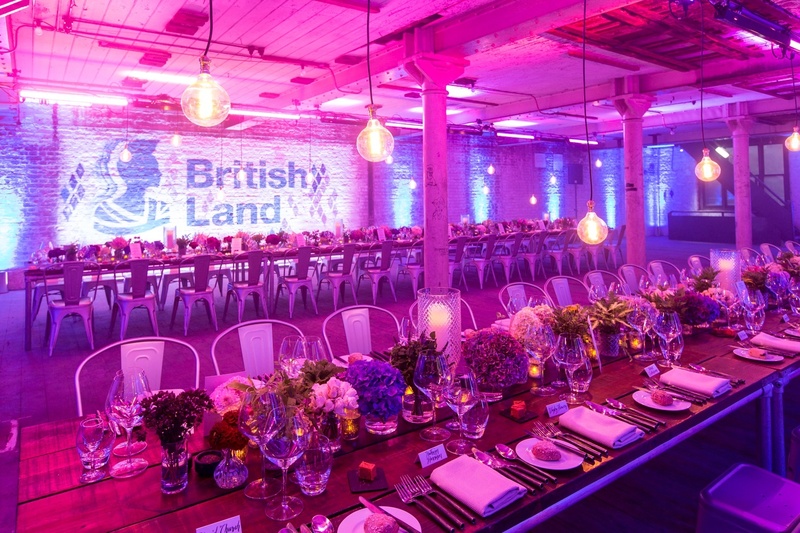 Blossom Street, a two-acre site regeneration area in Spitalfields close to the Shoreditch Tech City, made a brilliant backdrop to a recent VIP Chairman’s dinner, hosted by British Land. The company’s 75 guests enjoyed a fantastic three-course meal by Create. 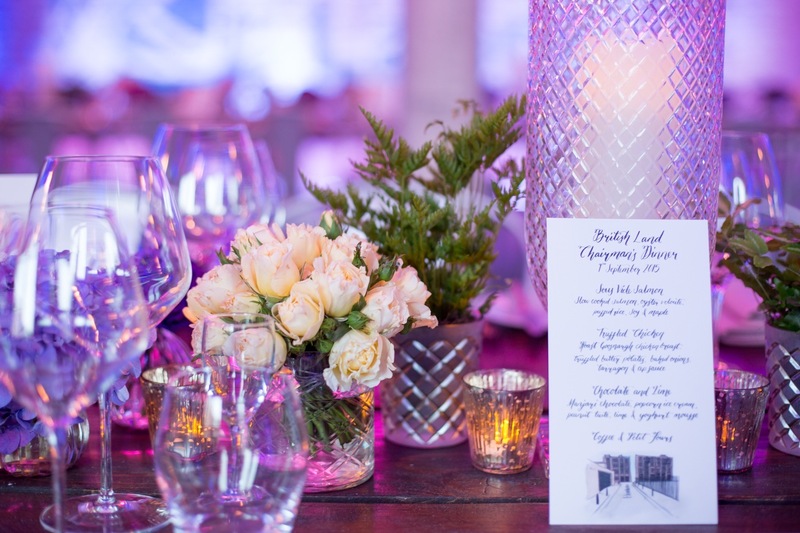 The evening was produced by Twenty-Two Events and Vibration and began with a drinks reception, where guests enjoyed pink ginger and lychee and blackberry tart cocktails. A selection of pre-dinner canapés included smoked haddock and caper croquette with horseradish mayonnaise, sea bass ceviche, soy, coriander and jalapeno, beef bourguignon and hot manchego cheese panna cotta. 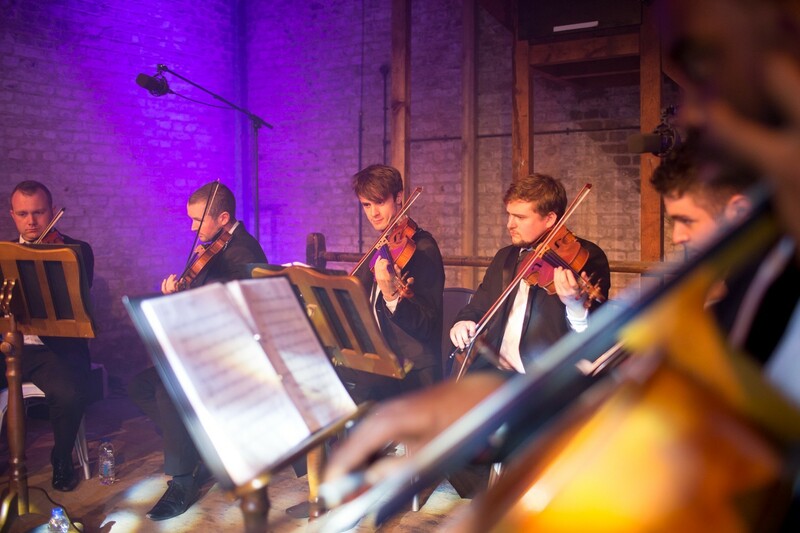 Guests were entertained by an eight piece string group provided by Full Circle Performance. To start, guests were offered a choice of sous vide salmon: slow-cooked salmon, oyster velouté, puffed rice, soy and maple, or miso mushrooms: charred flat cap mushrooms, pickled lemons, onion oil, mushroom and miso purée, served with a selection of homemade breads and butter. For mains, guests were served truffled chicken: roast Goosnargh chicken breast, truffled butter potatoes, baked onions, tarragon and cep sauce. Vegetarians enjoyed cauliflower cheese: pot-roast cauliflower, cauliflower cheese purée, cheese and onion sauce and crispy bread. The grand finale was a dessert of Manjari chocolate, popcorn ice cream, peanut tuile, lime, and a yoghurt mousse, followed by teas and coffees with homemade petit fours.